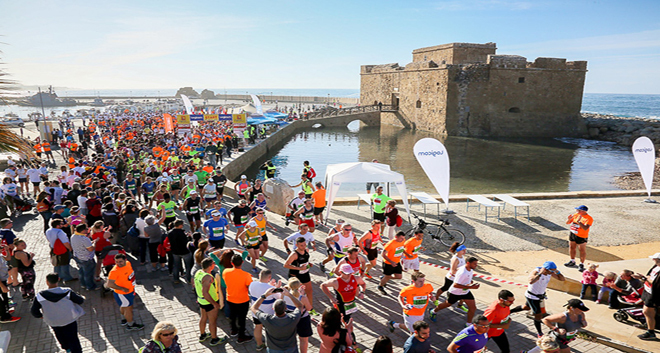 The main distance of the event which features breath-taking scenery from Start to Finish. 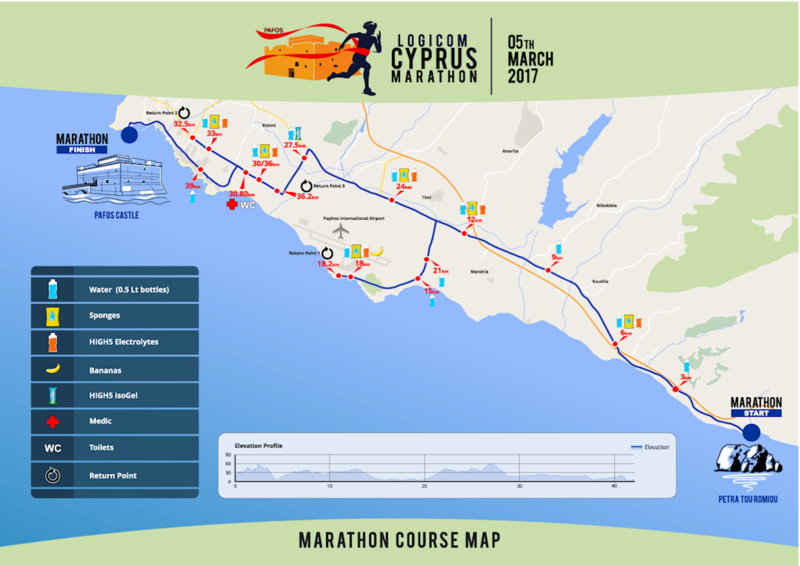 Starting at Aphrodite’s Birthplace, the course follows a coastal route along the Mediterranean sea. 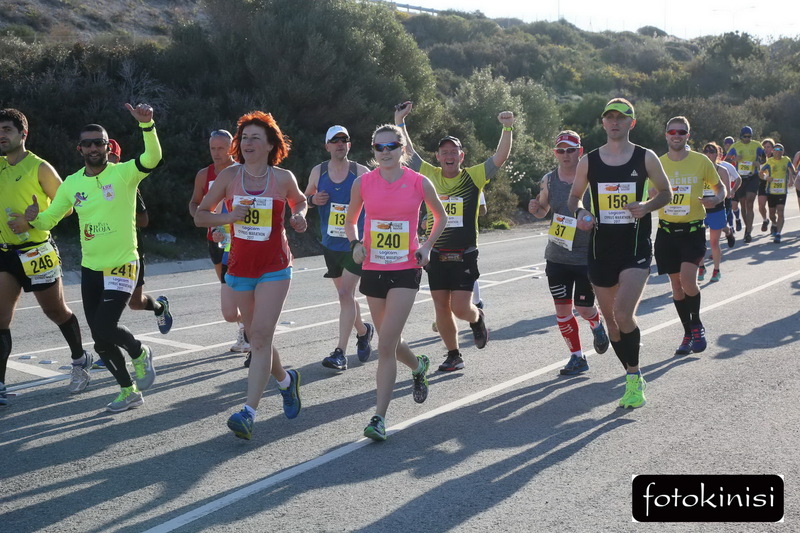 Throughout the course you will discover the small and traditional villages of Pafos and enjoy the famous Mediterranean hospitality with fluid stations every 3km and cheering support in most of the course. 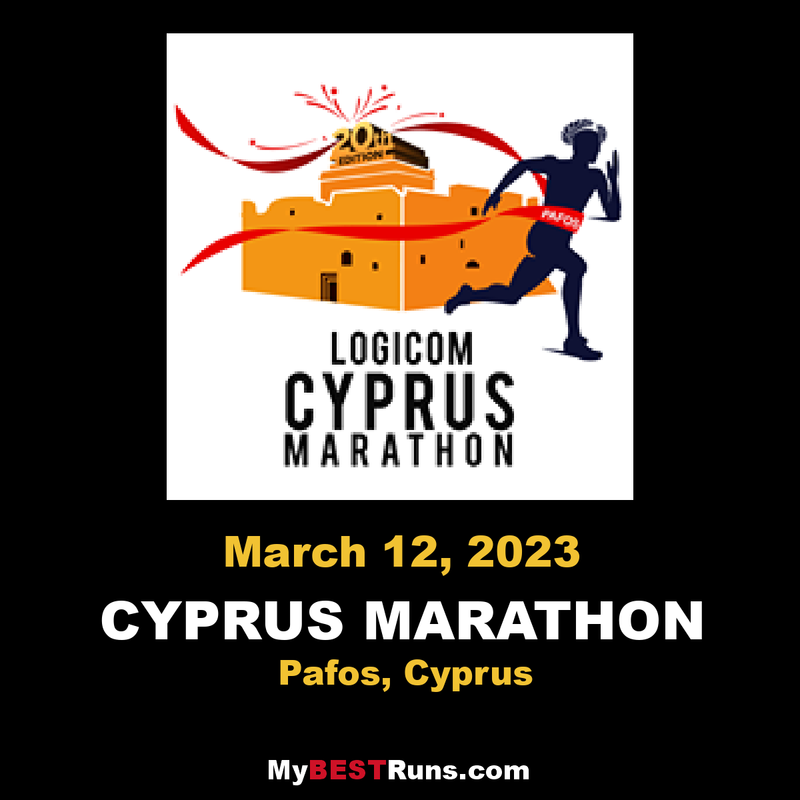 The course is accredited by AIMS (Association of International Marathons and Distance Races) and is clearly marked at every kilometer.